So you’ve paid for your RPMware package and now you are ready to get started! Here your customers will see all the categories out right and they will have their options in front of them. This is great for mobile use and smart phones as there is no hoover needed to display these groups. This option allows for multiple categories to be listed and use less space. It looks a bit basic but serves its purpose for fast searching and easy to find options. We can customize the link/text color to match any logo or color scheme. 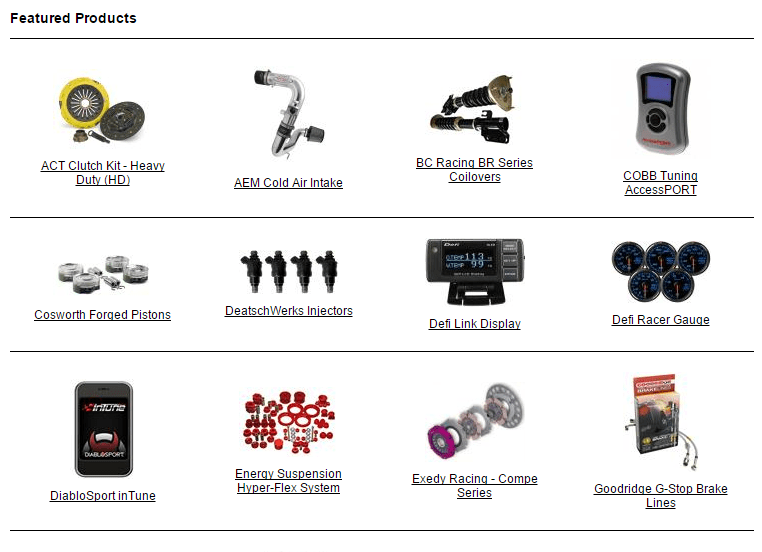 This section is easy to update and displays a link/image of featured items you want to focus on. With a 4 product wide grid, you can select any active product in your catalog. The RPMware system will sort this in alphabetical order, which is not editable.